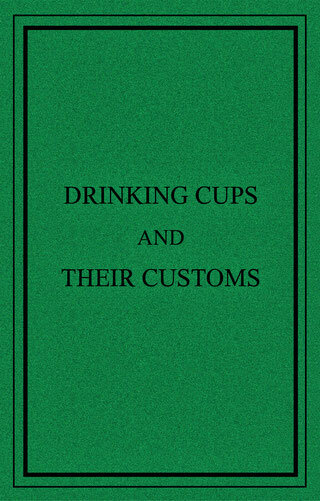 This is a reprint of the 1869 second edition of Drinking Cups and Their Customs by Henry Porter and George Roberts. These two Londoners didn't like the new American cocktail culture, that was about to replace traditional British drinking habits. In their opinion, those “cocktails” were too big and too strong so they couldn’t imagine that any honest man would be able to enjoy a drink of that kind. Eventually they wrote this book in favour of old English cups and punches, including the story of their heritage and a couple of recipes they found noteworthy. It is a somewhat unknown bar-book, written in an antique and kind of poetic style, but still worth reading it.